A witch friend turned me on to this little known facet of what Alex Sanders and his friend Derek Taylor were into at the close of their lives. I for one had never heard of The Ordine Della Luna/Nova before, and did some googling and found very little except these two links below. What i found interesting is that these witches went beyond earthly paganism and explored the realms of the Star Goddess and Gods, I had the same thing happen to me in a personal shamanic gnosis back in 1987 when they had their first revelations. I was taught that Witchcraft originally came from the Nephilim or angelic aliens. And I also believe that most of Western Occultism comes from Egypt and that ISIS is the primal Goddess. First is this link to the Ordine Della Nova website, which seems put together by an Anthony Allard Ph.D. The pentagram planets image above comes from this website. I have emailed all their contacts, some having come back as dead addys, and await any response, and if i get any i will add an addendum to this post. The second link is to The Ordine Della Luna/Nova – The Work of Alex Sanders and Derek Taylor, which is part of a web ring and i seem to have run into a dead end there too. I do not know if this group/s still exists, but if anyone has any more information please let me know in a comment. I have also not been able to find any copies of their writings listed at the websites. ADDENDUM 1 August 2012 – Anthony Allard is still alive and kicking and doing the Great Work. I am now in communication with him. 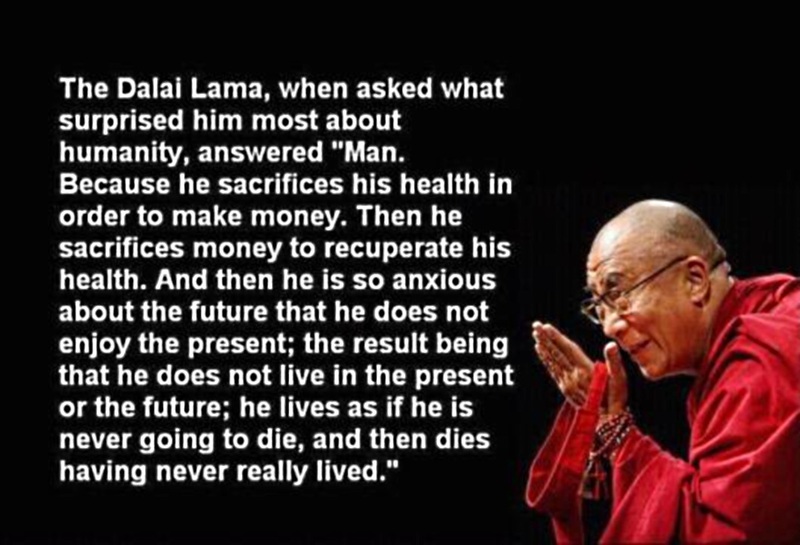 I found this picture and quote of the Dalai Lama today on the Lotus Tarot Blossom blog. Enjoy. Nowadays everyone wants to see notarized certificates and documents regarding one’s claim to certain Initiations. Back in the day we did not receive gold painted pseudo-velum certificates purchased from Office Max and run through a Windows certificate making program. Our Initiators just said “OK you are initiated, now go forth and multiply!” But as time went on I started collecting and giving the documentations people love to see. These are the best I can do. 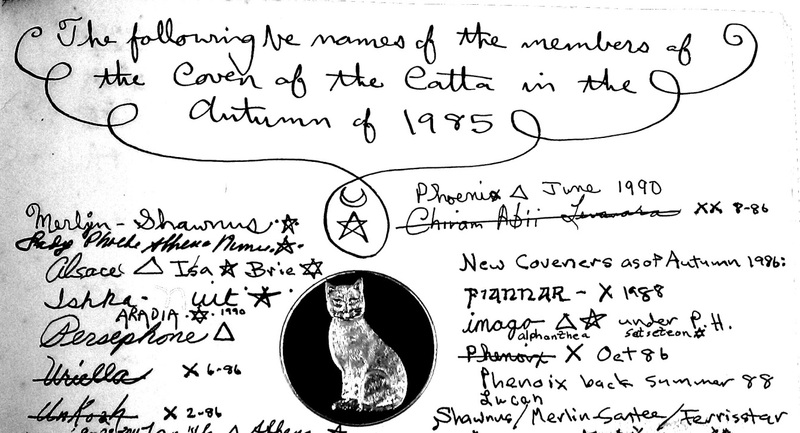 When I got my degrees in the Coven of the Catta from Lady Phoebe Athene Nimue we just wrote our first, second and third degree names and the date into our Book of Shadows. Here is a clipped image of that. 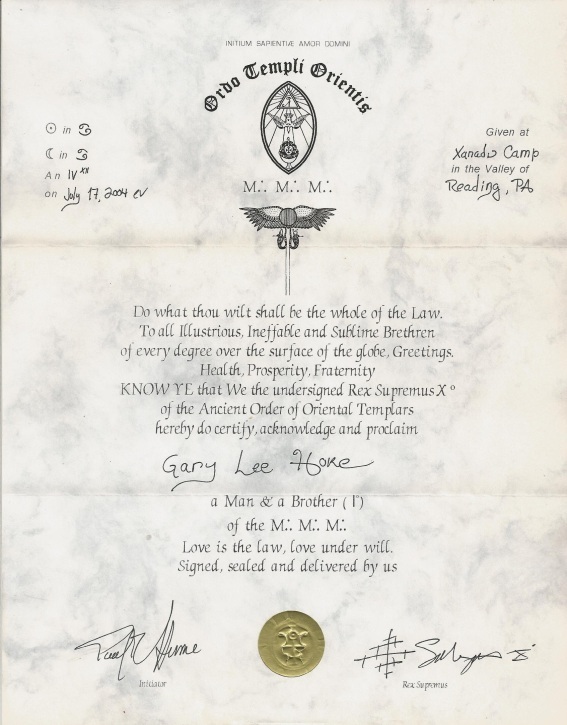 Here is my first degree initiation document into the OTO, which I recently got reinstated in as a dues paying member. 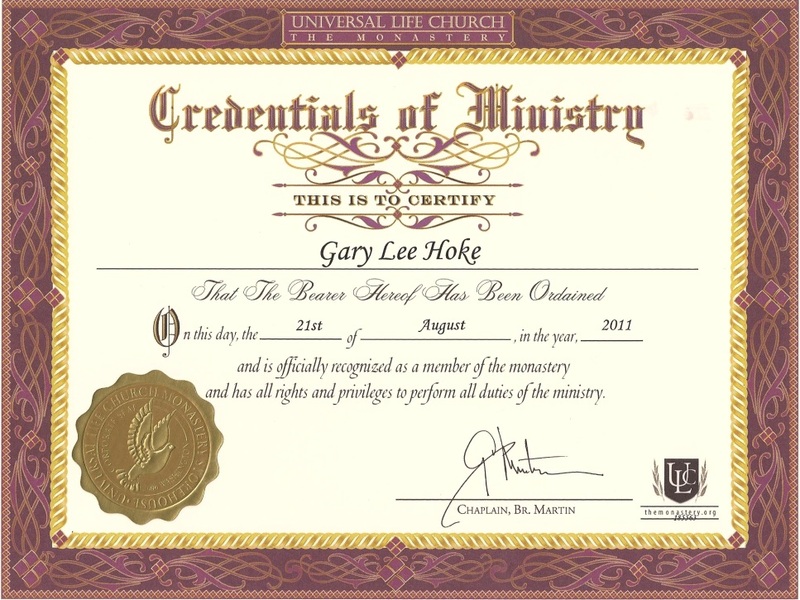 Here is a document showing ordination as a minister in the Universal Life Church, not a big deal, but valid in this state. Next i need to get the Coven tax exempt status. I have no documentation at all of Initiation into the Priesthood of Anubis by an African-American Egyptian Priestess decades ago. I have no documentation of Tibetan Buddhist empowerments into Vajrakilaya, Dorje Zhonnu, Avalokitesvara, White Tara and Yeshe Tsogyal by the Shakya Tritzen, his consort, Jigme Phuntsok, his consort, and other Lamas. Well there it is, for what it is worth, pieces of paper that mean something in this legalistic world, but ultimately mean nothing in the spiritual world. This is the story behind JRR Tolkien’s Lord of the Rings saga, tracing it back to old Pagan and Christian myths, and even to the horrors of World War One. The whole series of Clash of the Gods goes through a number of deities and heros and is pretty well made, each video lasting around 45 minutes. Thanks Karmapolice for posting this. Enjoy. I found this post on The Apotropaic Use of Iron by a Jennifer who is a guest on this Ghoststudy.com message board. I emailed them for more details (but did not wish to join the message board) so I can attribute this writing to someone more specific, and I await their response. Her article, linked above, starts off also with an insightful writing about incubi and succubi, and then about half way down the page is the writing on iron magickes. According to Wikipedia – Apotropaic magic (from Greek apotrepein, to ward off : apo-, away + trepein, to turn) is a type of magic inteneded to “turn away” harm or evil influences, as in deflecting or averting the evil eye. I have written my own article on the use of iron (and will have to dust it off to post later), but i already use iron mostly in Vajrakilaya phurba practice and in the use of iron spikes and rings and disks, mostly inside and almost never outside as iron scares away the fey spirits. I reproduce Jennifer’s writing here in italics with kudos to her knowledge. Looking at apotropaism (the combat against demons) we see that iron is used, in almost every major cultural group that we have information on, as a deterrent against demons and spirits. This holds even in India, where the metal is not connected with Mars. Shiva, for instance, carries an iron trident as his weapon. The iron obviously hurts the lesser entities he chooses to use it on. Many other Hindu examples will follow. Iron, either refined or in an ore form such as hematite, is traditionally used for amulets against demons. In some Hebrew practices, it is said that such an amulet should be entirely of iron or the power is lost. Not all metal Hebrew amulets, it should be pointed out, are iron. Many are gold or silver. If we walk down the streets, in a relatively old city like Philadelphia, we will see old iron fences around all of the old cemeteries or a topping of iron spikes on a brick or stone wall. This iron wall is much like the knives of the magicians. To be blunt, they are both iron. Spirits cannot approach iron, as it will hurt them, so they can be backed off with an iron knife or fenced in with an iron ring. If we were to go to Salem Massachusetts, we may see at the House of Seven Gables, a door into which numerous iron pegs were driven into the wood for much the same reason. The iron kept spirits from coming through the door. The lucky horseshoe found nailed over doorways is a remnant of the same idea as the nails in the door at Salem. We find that such diverse cultures as the Islamic Indians and the Gaels both fastened iron horseshoes over their doors for protection. C.F. Tebbutt, in a short article in the 1980 issue of “Folklore,” gives three examples of large iron slabs used as thresholds in old houses in an article “Iron Thresholds as Protection.” The first is a 1m x 35cm slab in the doorway of a 15th century priest’s house is Sussex. The second slab measures 50cm x 30cm x 4cm, from the doorway of a house in Danehill, which goes back to at least 1662. The threshold itself was there at least at the turn of the last century. The third example is also in Danebury, from the 16th century, where a threshold is composed of five pieces of iron ore. The world of ancient medicine is rife with the use of iron for what seem like superstitious “miracle cure” medicine. We will see, in many cases, that it appears that iron carried over into early medicine some of the same functions it held in relation to apotropaism. The reason for this is because demons or spirits were thought to be the primary cause of disease. For example, Islamic people in Morocco have been known to put iron knives under the pillows of the sick, presumably to ward off the spirit causing the illness. In India, we see women drinking water, in which iron has been soaked, to alleviate fever, cholera, plague and epilepsy. A look at Pliny’s Historia Naturalis gives us a glimpse of how the Romans of the first century viewed iron, and how completely superstitious it sounds to a modern materialist mind. This excerpt is from Philemon Holland translation. Pliny forms an interesting case, as we can easily see from the above paragraph. He definitely considers himself a scientific mind, as he sees hauntings as “fantastical illusions.” He is really not as scientific or rational, as he would like to think himself. He does not escape the superstition that an iron nail from a used sepulcher nailed into a lintel will miraculously cure the victim of these illusions or delusions. Pliny is a perfect example of the survival of iron’s role against demons carried over into the superstitions of medicine. The original cause and effect behind the action is long forgotten even to Pliny. The magical operation remained while the explanation for the cause changed with new mindsets. We shall see and discuss many examples of this through the work, as we discuss some different uses of iron. Cato, a Roman only slightly later than Pliny, recorded, in his On Agriculture, a magical rite for healing a dislocation. The rite involves reading an incantation while men hold reeds to the dislocated hips. A piece of iron is waved over the dislocation. More is done with the reeds, but it is only the iron that concerns us here. The waiving of the iron would seem to be another remnant from apotropaic practices carried over into early medicinal magic. Interestingly, iron is used today in medicinal practice. It is a common mineral supplement. It is used, for instance, as a treatment of anaemia. We shall now return to the idea of iron warding off demons and spirits. The idea of using an iron knife against demons is not a new one. The Moroccans have a succubi type demoness they call Aisha Qandisha. She is said to be driven away by plunging an iron knife into the ground. R.C. Thompson relates in Semitic Magic that, in Arabia, when a person is murdered, it is customary to drive an unused nail into the spot where he was murdered. This nail “locks down” the spirit and prevents it from haunting the spot. It can only be assumed that the nail was of iron or steel. What we see here is obviously the ritual action behind Pliny’s cure for illusions of phantasm. Another case of the Arabs using nails to pin spirits involves headache causing demons. The magician lays hands on the inflicted head, presumably to pull out the spirit. Once he has done this, he drives a nail into a wall, effectively pinning it there where it can do no harm. This is similar to the Indian practice of exorcising demons by waving iron over the possessed and then beating the iron on the ground, but even more similar to the Indian idea of waiving an iron nail around a sick person and then nailing it into a tree to transfer the evil into the tree. Islamic Indians were known to drive nails into the spot where a guest first places his right foot on the threshold of their house. This action would probably “nail down the spirit” or influence of that person in the house. Iron is commonly used to keep spirits away from their dead bodies, especially in India. There is an Indian practice where iron arrowheads are driven into the ground at the foot and head of a deceased body to prevent his ghost from returning. We also note the Hindu practice of putting a piece of iron on the chest of a woman who dies in childbirth to prevent the return of her ghost. There are also examples of iron being buried at the spot for the same purpose. We shall see that iron is also commonly used around childbirth in India, from nails driven into the four corners of the bed to iron pieces being left near the cradle or putting a child’s cradle on an iron tripod. As J. Abbott relates to us in Keys of Power, when several of a mother’s children die young, she takes the precautions of wearing an iron anklet and affixing an iron nose-ring to later children. George F. Kunz relates, in The Magic of Jewels and Charms, that Trotula, an Italian woman physician of the Middle Ages, prescribed that a mother at childbirth hold a piece of lodestone (iron ore) in her right hand. She also added that wearing a coral necklace would aid in the benificial properties of the lodestone. Kunz also relates that the Oxford teacher John Gadesen, also medieval, prescribed the use of both lodestone and coral for the same purpose, in his book Rosa Anglica. Gadesen, however, prescribed that the lodestone be held in the left hand. Kunz tells us of yet another medieval prescription, though this one sounds even more superstitious than the others. Francisco Piemontese of Naples, prescribes that the lodestone be strewn with the ashes of an donkey or horses hoof and held in the left hand. These cases are all obviously related, and nowhere does Kunz tell us what rationale, if any, was given for such an act. In fact, we are given no direct clues as to what the rationale was behind any of the Indian uses of iron around childbirth. From what we know of iron’s uses in other cultures, we can infer the reasoning. We only need to consider that most of our specifically apotropaic amulets from Near Eastern cultures were designed for childbirth. Childbirth caused an unclean state. The Babylonian Talmud, to illustrate, had an entire book about the laws of spiritual cleanliness surrounding childbirth called the Niddah. Uncleanliness left a person open to attack by demons or spirits, as we shall see soon with the Mandaeans. The time of childbirth was a primary opportunity for a demon. It was not only a time of spiritual impurity, but it was the time of a new soul’s entry into the world. This soul is born defenceless, and must be provided for and protected by the parents, who were often entirely incapable of dealing with demons themselves. There is a widespread folk archetype of the child-stealing demon, usually seen as the spirit of a mother who died in childbirth. We see her in the Greek lamia, the Arabic Ummus Subyan, the Hebrew lilin and the Babylonian lilitu. All of these factors, of course, led to that enormously high infant mortality rate and the numerous deaths of birthing mothers, both of which we now attribute to a material uncleanliness and germs. It remains unseen whether those who practised these iron childbirth remedies was aware of the cause-effect rationale for their actions, or if this degenerated to superstition and “luck,” as with our horse-shoes, waiving of iron and other former apotropaic ritual actions. Either way, we can still confidently assume the origins of such practices. The Mandaeans, a Semitic cult of Mesopotamia, believed that marriage caused an unclean state, in which a man was subject to attack from a species of demons called liliatas. We may presume that this is at least partially due to wedding night and the honeymoon. The bridegroom must be given a new baptism and purification on the Sunday within seven days after his marriage. During the time before this, he is given an iron ring and iron knife which he wears until his purification ceremony. This practice is similar to the many Islamic and Hindu practices concerning iron knives and rings protecting brides, grooms and newlyweds given in Keys of Power. These are too numerous to list. In fact, the totality of known Indian practices concerning iron in apotropaism is too much to elaborate in full thanks to Keys of Power, from which we obtained most of our Indian references. We have omitted many examples of Hindu practices concerning iron because the material is so expansive that it would dwarf most everything else. European folk practices used iron and steel to protect against fairies and elves. It was said that you should always carry iron or steel if you enter a fairy dwelling, because they will be unable to shut the door if iron is in their dwelling. Nails or other pieces of iron were used around beds to protect the sleeping, just as people believing in demons do the same against their demons. Knives and nails were stuck into hunted animal carcasses to protect them from fairies. We also find the practice of keeping iron with food in Sri Lanka, where an iron nail is put on the food so that demons cannot get into it and be ingested by the consumer. We also find the Sri Lankans carrying iron keys or knives while sick to ward off demons. Frazer tells us that on the Esthonian island of Oesel, many people would not eat bread baked from the corn of a new harvest until they have bitten a piece of iron to render the spirit in the corn harmless. Similarly, the Talmud says that you should use an iron cup when drinking from a river or pond at night so that demons can not enter you through your drinking water. In the European traditions, we also see that iron is the only way to bind a fairy. Interestingly, in a Greek oracle of Apollo at Claros, one is instructed to make an image of Ares and bind it in the “iron bonds of Hermes.” This seems to suggest that iron is even capable of binding gods. Another example of Greeks binding effigy statues relates to the ghost of Actaeon, who was slaughtered by his own 50 hounds after Artemis discovered him peeping on her. Apparently, his ghost was restless and caused the locals some troubles. They went to the oracle of Delphi, who told them to bury his remains, then make a bronze effigy of the ghost and bind it to a rock with iron. Quite a few Aramaic incantation bowl texts and fragments collaborate the use of iron for protection. We see in one text fragment “…in the house of iron…” “…of iron spread over…” and “…a door of iron for my gate, standing and being closed with a little hard bolt…” In another fragment we also hear of someone protected by a “house of iron,” and find an obscured reference to an iron wall, which it seems to say keeps out Samael. In the third text, we see again the same basic formula of “…a house of iron…” and “…a doorway of iron for my gate…” and again mentions of Samael. A Mandaic bowl specifically refers to the use of iron to bind a lilita. “…bound is the bewitching lilita who haunts the house of Zakoy, with a belt of iron on her pate; bound is the bewitching lilita with a peg of iron in her nose; bound is the bewitching lilita with pinchers of iron in her mouth; bound is the bewitching lilita who haunts the house of Zakoy with a chain of iron around her neck; bound is the bewitching lilita with with fetters of iron on her hands; bound is the bewitching lilita with stocks of stone on her feet…” (all translations based on Cyrus H. Gordon’s) Further, text two in Montgomery’s Aramaic Incantation Texts from Nippur, a text against demons and other entities, begins with: “Again I come … in my own might, on my person polished armour of iron, my head of iron, my figure of pure fire…” Text fifteen of the same source mentions binding demons with bonds of brass and iron. We also see mention of iron being used in two of the three Roumanian oral charms given by Moses Gaster in “Two Thousand Years of a Charm Against the Child- Stealing Witch.” (Folk-Lore, v.11, #2, 1900) In the second charm, it is said that the angel Michael casts a demon into a furnace and then rakes it out with an iron rake and then pounds it with an iron mortar and pestle, then sifts it through an iron sieve. In the third charm, Michael binds a female demon with an iron chain around her neck then sticks his (presumably iron) sword into her side. He then proceeded to make her reveal all the secrets of her magic arts. We see that when iron is mentioned, it is usually mentioned often. It would almost seem from these texts and oral charms that even the mention of the substance iron was enough to ward off spirits. It may also have been purely that the threat of the iron was enough to keep them at bay. Indeed, we also know that sound of iron causes pain to demons. The Siberian Yakut shamans wore lots of iron on their clothes, partially because the sound of the iron drove away evil spirits. The music composed on the Jew’s harp was inimical to demons for the very reason that it was created by the instrument’s iron tongue. In West Africa, the ringing of iron bells is used against demons. It is an Irish superstition to bang on iron pots to scare ghosts out of houses. Often, we see the clanking or ringing of any metal used against spirits. Though the Irish mostly used an iron skillet, any pot or pan would do for some now. The Tibetan Buddhists use brass bells to ward off demons. Theocritus relates a story to us, where a sorceress interrupts her ritual, when the goddess Hecate appears, to ring a gong. The gong is supposed to keep Hecate away. We are not, unfortunately, told what the metallic composition of the gong was. Looking at the Keys of Power, Abbott gives us vivid details of iron as it is seen in Indian life. The following paragraph shows our point here so well that I have decided to quote it almost in full. Many anthropologists and other researchers, when discovering this usage of iron against spirits or as a detriment to gods, kings and sacred things, usually in a confined set of examples, theorise that the power of the iron lay in its novelty, that it was seen as something with power purely through the novelty of it as a substance. This explanation is completely unsatisfactory and fails to explain the broad universality of iron in apotropaism, of which I am sure we have only scratched the surface. The view only takes into account the fear of iron, as a substance which may cause harm, not the accounts of medicinal use against spirits, such as drinking water with iron soaked in it or the wearing of iron rings to drive away spirits. We can see no reason, if the novelty theory is correct, why iron should be cherished as an apotropaic charm to keep around the bed at night and especially around infants. The iron is not generally seen as being outright hurtful to the average human, though one possessing a high amount of spirit risks it hurting his spirit. The iron is, however not considered lucky in of itself. Bodily contact with iron is mostly in cases of extreme need, otherwise it is often avoided. Many cultures refrain from picking up iron or touching it altogether as much as possible. It is often kept in close proximity without direct contact. To the spirit, however, the substance is extremely hurtful even by proximity. Novelty does not explain this difference in reaction or account for the near universality of this difference. An interesting common theory as to why iron is inimical to demons centres around the oxidation process. It is thought of as being a slow fire, which can cause burns to entities of a non-material nature. It is interesting to note, however, that the iron on the Yakut Shaman’s costume, which we mentioned earlier, is said to “have a soul,” and not rust. It is also possible that the effects are caused by the electro-magnetic properties of iron. This connects to the rust theory, as oxidation is also an electrical process. It is beyond the scope of this essay, however, to enter fully the debate as to why iron has the properties that it does, merely to show the universality of this property. I have, in my collection, a phurba which displays an interesting way of solving the problem that no doubt arises from this, “How do I use the iron without it harming my own spirit energies.” It has an iron blade to affect the demon, but a brass and bronze handle to not harm the practitioner. If a magician does not want to have the metal affect their energies, we suggest an iron knife with a handle of wood or other such materials. Continuing on the subject of Samael, a good friend sent me a link to Anya Klein’s (she wrote the visceral book Lilith – Queen of the Desert) excellent The Fruit of Pain blog post on this subject of Samael – God of the Left Hand. I am going to just paste her entire post (minus her pictures) in italics below, and this writing is her property. I have emailed her asking permission which i hope she gives, but if she does not this post will be deleted. I met Samael last May through Lilith, and I approach Him primarily as Her consort. He and I do not have a romantic or sexual relationship, nor do I have that with Lilith. Being nudged to meet/honor the various partners of my Big Three has become standard for me (Gunnlod, Frigga, Sigyn, Angrboda, etc), which is fitting since my own relationships with Them—both work and personal—tend to stress partnership in some form. Unlike the other partners, Samael has more quickly established Himself as a regular presence and teacher. In the past nine months, Samael and I have gotten to know each other through my own rituals, spirit work I’ve done for my community, and good old fashioned research. Below I’ve compiled some of what I’ve learned. I have a sense this is the tip of the iceberg, but it’s a start. Collecting these scraps has at least given me a fuller picture of His nature, as well as the ways in which He’s been encountered over centuries. Like Lilith, Samael has been called many things: god, demon, devil, angel, fallen angel. His multifaceted identity stems from the fact that (like Lilith) He has a tangle of narratives rather than a single story. He makes appearances in the lore of various cultural and religious communities from ancient Mesopotamia, including the Assyrians and the Hebrews. Over time and across space, He has been adopted to play certain roles in the Talmud, Kabbalah, Christianity, Satanism, Ritual Magic, and modern Angelology. He is both holy and unholy. Despite the discrepancies and contradictions of these visions, I think each adds something valuable to the conversation, even if some conflict with my own experiences or beliefs. In the Antique world the left hand was connected with the serving of demons and chthonic powers (Plut. Quaest. Rom. ch. 26) and Shemal is by the Sabaeans the Lord of the “genii and demons” just like Shemael [sic] in rabbinical literature and Zohar. He seems to be the highest god for the Sabaeans because his name could also be translated “North” (as right also means “South”), and the Sabaeans pray with their faces turned north….On the 1st of Ajar some rituals have to be carried out to the honour of Shemal: there is smelling at roses, eating and drinking. On the 27th of Chaziran (chazîr = “wild pig”) secret rituals to the honour of Shemal with the epithet “He who lets his arrows fly”, cf Resheph´s epithet “with the arrow”: the priest shoots 12 burning arrows into the air, a ceremony repeated 15 times, and each time the priest will run around on all fours like a dog and pick up the arrows and take them back….the ceremony should be interpreted as magic designed to hold back the arrows of sickness. Like Lilith, Samael rules over chthonic (low or earthy) powers. He also seems to serve as a god of sensual enjoyment and one who can ward against harm. Yet this source also mentions a darker side to His rites: the cannibalism of infants in His honor. Since the original source for that information is a pamphlet written by a Christian Syrian, it’s possible this was included as a titillating horror story. Langkjer also speculates that it memorializes the people’s consumption of Tammuz, the life-giving grain god who sacrifices Himself for the people (much like Frey or John Barleycorn). It is striking, however, that the Hebrews later accuse Lilith of eating infants and placed warding amulets against Her around the necks of their children. In both cases, Lilith and Shemal stood in an adversarial relationship—or as a balance—to the procreative, life-giving aspects of the society. Considering Lilith’s roots in southern Mesopotamia (Sumer/Babylon), it’s also interesting that Her Assyrian-based consort bares a name that can be translated as “North.” In their union, They would thus unite and encompass the known ancient world, North and South. According to sources cited in the Jewish Encyclopedia, Samael serves as “an important figure both in Talmudic and in post-Talmudic literature, where he appears as accuser, seducer, and destroyer.” In Hebrew, Samael’s name is etymologized as , which means “the venom of God.” Remembering Lilith’s tie to serpents, this is another interesting link between Them. He is said to slay men with a single drop of poison, which has earned Him the title “Angel of Death.” According to Talmudic sources, Samael looks and moves like an angel. He “flies through the air like a bird” and has twelve wings rather than the standard six, marking his higher status among the celestial beings. There seems to be some uncertainty as to whether Samael acts on Yahweh’s behalf in this role or as an evil freelancer. This would seem to explain how He can appear as both “Prince of the demons” and “chief of Satans” as well as “the great prince in heaven.” It’s also possible these various titles refer to different points on His Talmudic timeline: pre- and post-fall from Yahweh’s graces. Even before we get to the Christian sources, we see a tendency to collapse the figures of Samael and Satan. The encyclopedia entry states, “in so far as he is identified with the serpent (“J. Q. R.” vi. 12), with carnal desire (Yeẓer ha-Ra’), and with the angel of death, all legends associated with Satan refer equally to him.” Is the Judeo-Christian Satan/Samael a demonization of the Assyrian Shemal? A way to fold a well-known deity into a new, monotheistic narrative? This source also notes something I saw listed several times: that Samael serves as the “celestial patron” of Rome. Some websites speculated that this stemmed from Samael’s affinities with the Roman god Mars (warlike, strong, bloody), while others viewed this patronage as a result of hostile views of Rome as the incarnation of evil and corruption. More on this in the “Pop Culture” section. In Kabbalistic writings, Lilith is sometimes split into Lilith the Younger and Lilith the Elder. According to sources cited in Raphael Patai’s The Hebrew Goddess, Younger Lilith acts as the wife of Ashmodai/Asmodeus, whom Judeo-Christian mystics have identified as the King of Demons or King of the Nine Hells. Lilith the Elder, alternately, is cast as the wife of Samael. …out of the dregs of wine, there emerged an intertwined shoot which comprises both male and female. They are red like the rose, and they spread out into several sides and paths. The male is called Samael, and his female [Lilith] is always contained in him….The female of Samael is called Serpent, Woman of Harlotry, End of All Flesh, End of Days. Lilith and Samael are two creatures in one flesh, siblings who are lovers, the Beginning and the End. This passage seems to explain why those who work with Lilith and Samael are often nudged to bathe in or ingest the dregs of wine left to decay on Their altars. Those dregs hold the mystery of Their birth and transformation. In anointing our bodies with it, we enter into those mysteries. According to several 17th-century Kabbalic texts, Yahweh castrated Samael to prevent Him from procreating with Lilith and overrunning the world with demons. In other versions, Lilith is the one made barren (see Patai for both stories). In either case, this is said to cause both Lilith and Samael to seek human partners to procreate and to satiate their desires. According to some sources, the pair begins these couplings with the earliest humans in Judeo-Christian lore: Adam and Eve. As the first succubus, Lilith “rides” Adam in his sleep to produce spirits and demons, while Samael seduces Eve and impregnates her with Cain. Notably, various Talmudic stories have cast both Lilith and Samael in the role of tempting serpent that leads Eve to eat from the Tree of Knowledge. Once again, the pair challenges the established order, representing the shadow and the taboo. NOTE: My knowledge of the Tree of Life in Kabbalah is limited, and I didn’t have the time to fully research this section. I know enough to understand that some of the info in this section is highly controversial. Frankly, I don’t feel comfortable writing on something that I think needs more research on my part. Instead, I’ll point you to 2 sources for your own further reading. These links should NOT be taken as an endorsement of any of the content on these pages. While the goal of working through the standard “Tree of Life” is to achieve oneness with divinity, the goal of the “Tree of Death” is achieving personal divinity or deification. (Reaching a state of godhood yourself) Please note that I 100% do NOT endorse this path! However, if you’re curious about this system, you can read this longish essay by a “Gate-Walker” of the Simon Necronomicon. I have no idea if any of what he says about Kabbalah actually checks out, but he seems to have done some kind of research, and this isn’t the only place on the internet I’ve seen this rationale. As in Talmudic literature, Samael becomes Satan in both Christian and Satanic lore. “Samael” is often stated to be the His true or angelic name, while “Satan” is a role/job title that means simply “adversary.” Likewise, “Lucifer” is seen as an epithet: a descriptive name or phrase listing one of His qualities (here, “light-bearer”). In this reading, Lucifer and Satan might be considered “faces” of Samael, nicknames, or slurs, depending on the intent of the speaker. If you’re interested in a Satanic perspective on Samael, this shrine provides a start, although unfortunately it seems to have been neglected or abandoned. I was actually a little disappointed that Satanist texts I came across gave Samael such short shift. He is almost always classified as a by-name for Satan. I don’t know if I’m ready to say that anyone who works with Satan is actually working with Samael (or one of His faces), but it seems quite possible. Considering the eye-rolling I used to do about Satanism, it’s actually rather ironic that, if the Satanists are right, I’m working with Him. Gods are funny that way. Because Angel research requires the patience of a saint, I haven’t fully explored this avenue yet either. I did stumble across a few white light, “Meeting the Angels” sources that advised people—in some cases children—to pray to Samael for strength. Considering that most Christians equate Him with Satan, this boggles the mind a bit. I also came across this site, which gives a table of correspondences for Samael. I have no idea where they got this information, but it’s interesting that it exists. The most fascinating aspect of this listing for me is that it claims Samael and Azazel are the same figure. Azazel is also known as the Angel of Death, as well as the Leader of the Nephilim. Depending on which translation you follow, Nephilim could mean either “the Fallen” or the “giants” that sprung from the mating of angels and human women, as described in Genesis 6:4. Thus, the two figures seem to have similar roles and titles at least. One final tidbit: the etymology of Azazel means a remote, rocky place from which the sacrificial goat would be thrown. In other words, “scapegoat.” Like “adversary”, this very well could describe another of Samael’s roles. I don’t know enough at this point to make a solid claim, but it’s worth considering. Certain pop culture objects sometimes seem to tap into some truth or aspect of a deity. For example, I saw echoes of Odin’s Wanderer face in Jeff Bridges’s depiction of Rooster Cogburn in True Grit. I see Samael most strikingly evoked in a recent video game series: Assassin’s Creed by Ubisoft. Set mainly in 1500s Rome, Assassin’s Creed follows Ezio Auditore da Firenze. In the second game of the series, Ezio seeks to uncover the plot that led to the hanging of his father and brothers. He trains to become an assassin, learning tricks of the trade from society’s outsiders: prostitutes, thieves, and strange visionaries (DaVinci!). Ezio’s quest for truth, freedom, and vengeance pits him against political and religious authorities, all of which are depicted as irredeemably corrupt. The only justice available to him is that which he can enact with his own hands. In his training as an assassin, however, he becomes a master craftsman, not merely a brute killer. There is an art and a skill to his work as He moves through Rome, bringing death to tyrants. Perhaps He’s Rome’s patron after all. A trailer for the third game, Assassin’s Creed: Brotherhood, can be seen here. At this point in the series, Ezio has become not only a master assassin but a leader of his own adversarial league (perhaps the Roman version of the Nephilim, if you will). Note the angel wing design on the armor Ezio wears on his left shoulder. This section is not meant to be seen as a culmination of the previous sections; it’s not the unveiling of the “real” Samael. This is what He’s shown to me, before I knew much of anything about Him. It matches what’s above in some ways, and in some ways not. As the pop culture section suggests, I get Samael chiefly in His role as the Assassin. Both Lilith and Samael come to me as Bringers of Justice, but They enact this Justice in different ways. Lilith acts as a Judge, determining right and wrong. Samael acts as a Debt Collector, taking what is owed and is being wrongfully withheld. Both are bound by rules, and neither one punishes indiscriminately or harms the innocent. The word that comes to mind when I see them in this role is “Righteous.” Not “self-righteous,” but a genuine sense of enforcing what is Right. Their system of Right/Wrong does not always line up with the dominant paradigm’s system, but there is a Justice there that even deities from other pantheons seem to respect. While Samael and Lilith may be exiles, They are not anti-humanity. They can be wise teachers, and They often gather outcasts to Themselves. This does not mean, however, that They cannot be brutal in their lessons. When necessary, Lilith is the raging fire that burns your personal village to the ground. Her presence is obvious and unmistakable. She demands that you wake up and pay attention. When necessary, Samael is poison. He works internally, slowly, and methodically. He is the unassuming figure waiting for you in the alley, weapons concealed. I have also seen Samael in the role of Festival King, much like early descriptions of Shemal. He enjoys sitting in a throne-like chair and watching a good party unfold, particularly if Lilith is in attendance and His cup always remains full. They enjoy holding court in twin thrones. Running out of alcohol irritates Him, and His appetite is endless. This seems to apply not only for wine, but for any energy. There’s an insatiability to His hunger for life—to taste and consume. There’s a bloodlust. He cannot, however, feed freely. As much as He desires it, His partaking in human things leaves Him empty. It calls to mind the Skeleton guarding the clock in The Last Unicorn. He loves drink, but it literally goes right through him. Why? The answer caught me off guard. His arms are bound in black strips that look strikingly like the Jewish practice of Tefillin. He wears a black leather chest piece with straps and buckles. There is an overall feeling of constriction with overtones of frustration. I don’t know who bound Him or why. The wearing of tefillin, according to the source in the previous link, causes a cosmic alignment: “Heaven connects to earth, spiritual to physical, Creator to creation. Everything starts getting into harmony with its essence and inner purpose.” Does His binding represent the binding together of spirit and flesh? Words between Lilith and Samael during that ritual, however, suggest another reason: He is bound because He would unleash destruction, destroying even Lilith Herself. As Death, as Bloodlust, as Vengeance, as Hunger, Samael must be contained. He is simply too insatiable and would throw off the balance between Death and Life, Justice and Violence, Order and Dissent. Interestingly, Lilith does have the power to free Him, but She refuses to do so. Samael has lost his magnificent wings. Only bloody stumps remain. I do not know if they were ripped from Him, and if so, by whom. I know that He misses them, and that touching His wet, bloody shoulder brought Lilith to tears. It is the reason why, when adding Him to Her altar, I chose a statue of an angel at a local botanica—and broke off the wings. They lie at His feet, bloody. Perhaps He appears in some faces with His wings, but not to me. If you wish to begin working with Samael, I highly recommend you begin a relationship with Lilith as well. She brings balance and protection, and if She’s well-honored and approached with humility and respect, She can also keep you grounded as you work with Them. Samael is a magnificent force, but He can also be seductive—the ultimate tempter. He will take advantage in ways Lilith will not, particularly if you make offers of yourself to Him without an understanding of the consequences. Making deals with Him is not recommended—He tends to omit mentioning what things will cost you. And He is perfectly willing to watch you ignorantly skip down His path towards something you can’t handle. Allow Lilith to introduce you. Go slow with Him. Lilith and Samael enjoy sharing an altar. Both of Them seem to like the colors black, red, and silver, as well as serpents, blades, stones, and mirrors. Here is a recent photo of my altar to both of Them. The cistern in the middle is just a dark vase I fill with wine or port for Them. They love big containers of rotting wine. If you work with Them, you will come to know that smell well (and even fall in love with it). Light candles and pour wine for Them. Embrace transformation into your own potential. All of these things are sacred offerings and please Them. As you can see from my most recent posts, i have been in a rather morbid mood of late around this past new moon cycle. In a post a bit ago i talked a little about an encounter with Samael. I am still not going to reveal that whole story, but suffice it to say that sometimes a being is a self generated egregore and sometimes it is an old entity who has good or evil intentions. I have been taught in Jungian dream work and in Himalayan magicke that if a frightful form appears in a dream one does not run from it or fight it but rather embraces it and it transforms into its true form. Well that theory is good most of the time. But sometimes its time to pull out the sword and the Apo Pantos Kakodaimonos and then the Ex Oriente Lux, the latter being taught in our Coven of the Catta rituals. In fact, even though it was edited out of this house cleansing we performed as documented in The Haunted – Coven of the Cat, those are the two incantations i used. Now you may laugh at this video Call of the Warrior, which for my types of posts is pretty white light and emotional and uses words like God and He, but i hope my readers are sophisticated enough to get the energies illustrated herein and how sometimes one does need to invoke and evoke them in certain situations. Of course one can substitute whatever forms and names of their personal preference of Light Deity into this teaching. I posted a Christina Rossetti poem before, and post it again here. She was of the Pre-Raphaelite genre and time, sister of the marvelous painter Dante Gabriel Rossetti, and wrote some dark poetry i would almost call Gothic Victorian, and some light poetry related to her being an Ango-Catholic later in life. I love old graveyards, the weathered stones, the big old trees, the peace and quiet. I think some of the best stone sculpture and bronzes not in museums or on government buildings can be seen in these cemeteries. I am lucky to live near the capital of this state where up in the ghetto is the original old cemetery going back to the early 1800s, which is really not that old. Of course to go there one has to pack a weapon and carry a camera to look like a photographer, even though that is what i am doing, with a little Vodoun maybe. I found one plot that just oozes Ghede and leave my crossed cigars there, and have found other offerings here too. The weapon is for the packs of kids skipping school with BB guns shooting pigeons, and the packs of dogs, and the homeless people who sometimes live in the broken open mausoleums. Things have improved and the caretakers are pretty diligent, though there is always vandalism. Back when the city was growing they disinterred and reburied all that was left of bones and headstones from the older church cemeteries downtown, you know, to make parking spaces. So there are rows of Revolutionary War, Civil War and even a Nunnery’s graves there. How i got on this subject today was finding The Cemetery Traveler by Ed Snyder. The nice thing about these links i am posting here is that most are run by photographers, so there are some great pictures, which are copyrighted. His post on What’s Buried in that Graveyard? is very interesting. This next blog European Cemeteries definitely contains some great photography, and the video below with snapshots taken in the rain of some incredibly great stone carving, is from this site. And here are three more links to check out. Enjoy! FORMER ABDUCTEES FOR THIRTEEN YEARS. Well all i can do is to quote Jim Carrey – “Alllllrighty then!”. I thought this was a joke, but the site is serious. 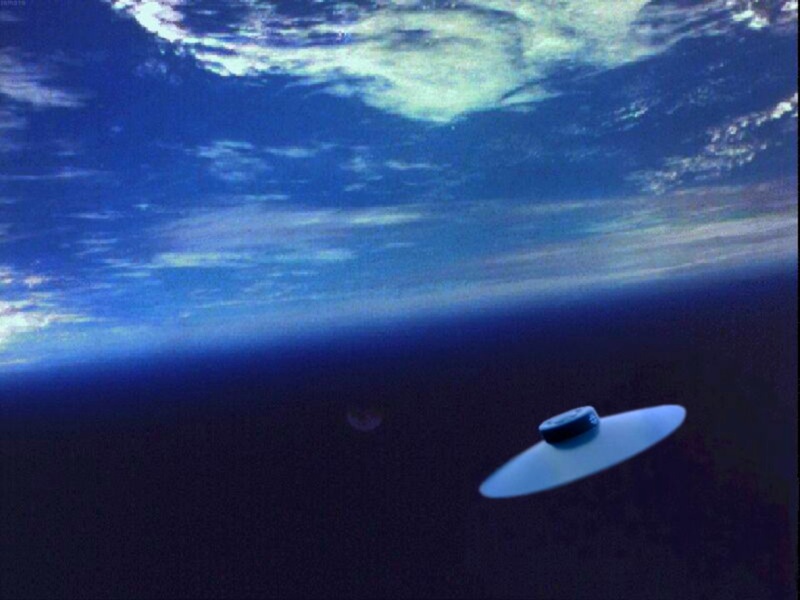 So get our your aluminum foil helmets ye kicking and screaming pilgrims to the stars! Click on the word link above or the picture of the man in the helmet for this site. Enjoy!